I bet a lot of you know all about "rock, paper, scissors," the other way that Japanese people make decisions, but did you know about amidakuji 阿弥陀籤（あみだくじ）? 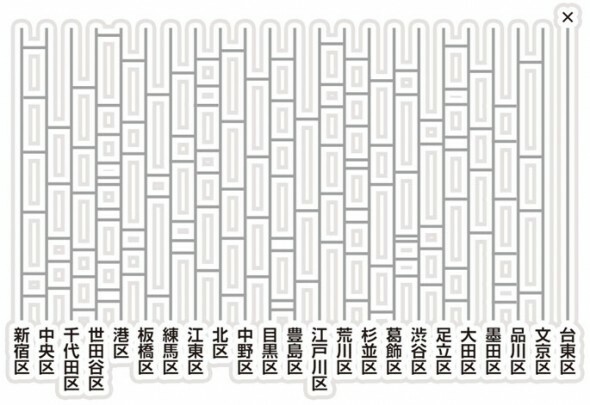 When you need to assign people or things to an equal number of outcomes, amidakuji is the best way to do it… plus, it kind of reminds me of all those pipes Mario has to walk through. Here's a video I made demonstrating how it works. If you look at the info-graphic below (from Wikipedia), you probably should be able to understand how it works. The important thing is that there are an equal number of outcomes as there are things to make decisions on. If you do this, then everything works out in the end, every time (i.e. no one outcome will be chosen twice!). Amidakuji is used for all kinds of things. I've experienced it with distributing prizes (this is how I think Christmas exchanges should happen), distributing chores to do (who has to clean the bathroom this week? ), and choosing partners / opponents in various games and activities. It's actually incredibly useful if you use it in the right situations.